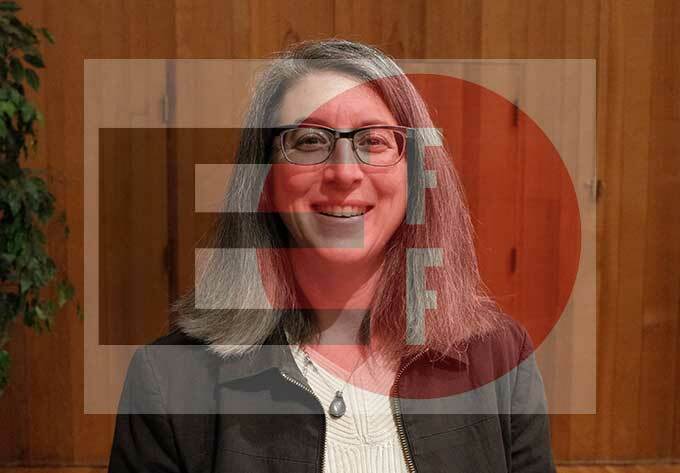 Below you’ll find a wide-ranging interview with Cindy Cohn, who runs the Electronic Frontier Foundation (EFF). It’s the third episode of my podcast, which launched here on Boing Boing two weeks back and which is co-hosted by Tom Merritt. The podcast series goes deep into the science, tech, and sociological issues explored in my present-day science fiction novel After On – but no familiarity with the novel is necessary to listen to it. Cindy has been working with EFF for most of its history, and running it since 2015. In our interview we discuss several chilling developments EFF is fighting. One is the legal campaign against Mike Masnick and his long-running blog TechDirt. This is widely viewed as a SLAPP, or strategic lawsuit against public participation. Moneyed plaintiffs use SLAPP suits to arbitrarily silence opinions that displease them – a power none are granted in free societies, but which is readily accessible through cynical abuse of the legal system. Just last week, Masnick accepted $250,000 from donors ranging across the political spectrum to fight this odious practice, and just yesterday EFF named him a winner of its 2017 Pioneer Award, making this a timely conversation. Cindy and I also discuss how Cisco helped China censor its Internet and oppress religious minorities; the controversy surrounding Facebook’s attempt to roll out a free but stripped-down Internet in India; the morality of tools that protect good people from evil governments but can also protect evil people from good governments; EFF’s own storied history, and much more.